We pay homage to the first generation of this legendary car model with our Chevy Monte Carlo clocks. 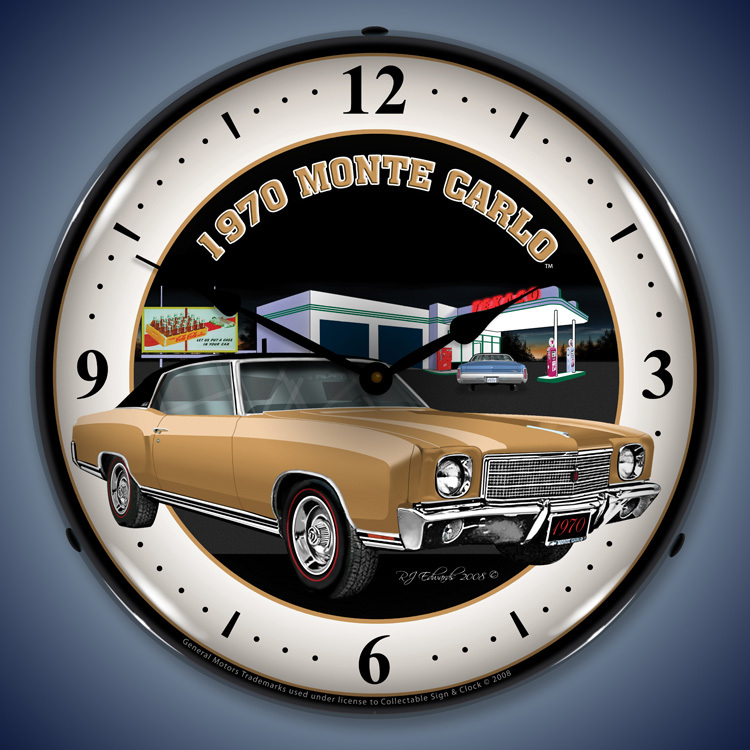 The Monte Carlo went on to be a substantial success in NASCAR racing all the way until its end of production, and with our clocks we honor the earliest of this series. 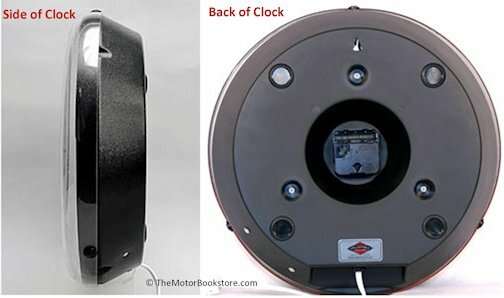 These time pieces would easily add a pop of color and vintage appeal to a special room in the house, and also make great gifts for car lovers (or just people with great taste). 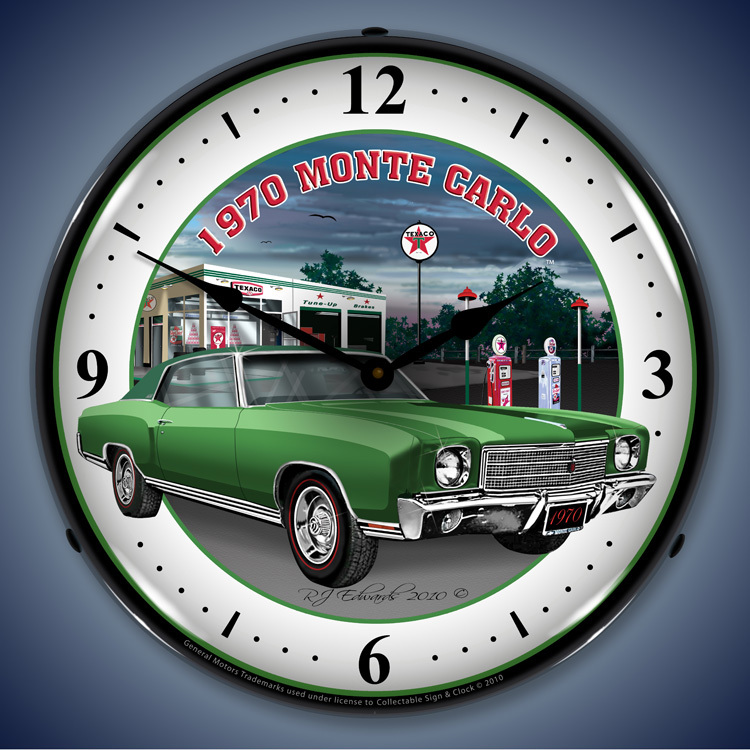 Two of our Chevy Monte Carlo clocks feature the first model from 1970, and it is available in both tan and green with different iconic gas stations of the era featured in the background. Additionally, we have a clock that features the 1971 Monte Carlo in a vivid blue color, as well as the 1972 Monte Carlo in an eye-catching red. Every image used was meticulously reproduced by using a CNC router in order to preserve every detail. The manufacturer takes great care to avoid distorting the image as they use a special UV-dried, computer-controlled printer, thus ensuring a high quality product as detailed as the original that will hold up for years. These make a great investment! 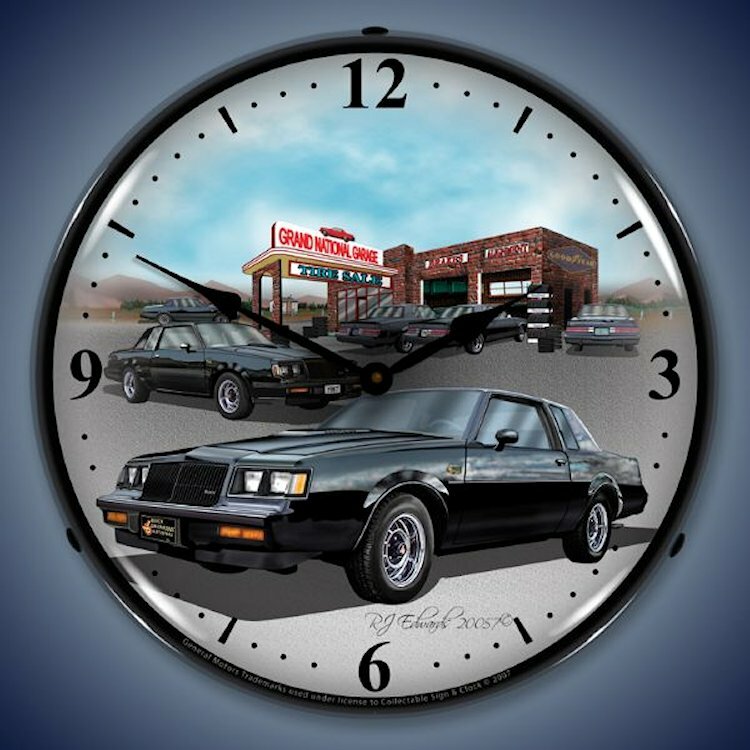 Whether you pick an original model of the Monte Carlo or choose to spice up a living area with a brighter car in blue or red, any of our Chevy Monte Carlo clocks would be perfect in a car lover�s garage, man cave, or elsewhere in a house that embodies timeless American vibes.